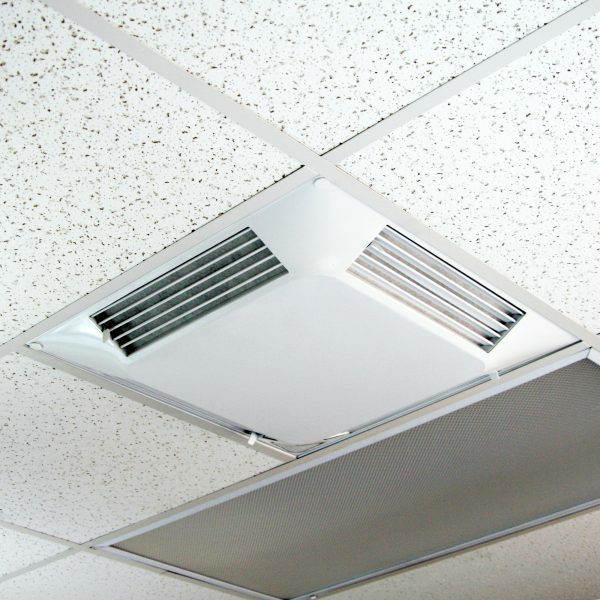 The airflow in any commercial building can be chaotic, unpredictable, and downright annoying, creating cold and hot spots all over due to uneven flow. Luckily, a good air diverter can solve these issues! The Comfort First Filtered Diffuser is a commercial diffuser that offers you a comfortable environment on top of unbeatable air quality. Working with both MERV 12 and MERV 14 filters, this air diffuser makes it easy to dictate airflow control with the adjustable louvers while still maintaining a sleek look within your building. MERV14: Used in Hospitals, labs and other places where static pressure isn’t an issue. Prices vary based on options selected below. If you just need replacement filters – click the filter link. You will need to make a selection in each of the drop downs below before you add the product to your cart. Are you tired of having spots in your office that are either too hot or too cold? 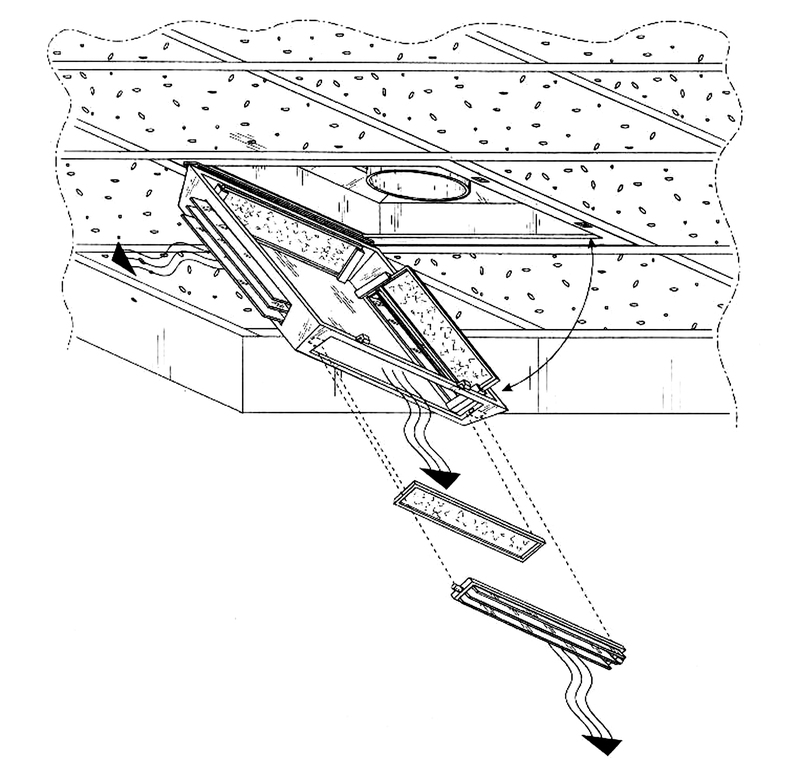 Do you want some degree of control over the air flow in your building? Fix these problems and improve indoor air quality with an air diverter! The Commercial Filtered Diffuser 4-Way Vent Diverter comes with MERV 12 filters and traps any pollutants or particles as small as .03 microns in size. With the high ability to filter, this air diffuser is at a 40.6% efficiency level at 150 fpm. This easy-to-install air diffuser works with any 24” 24” drop ceiling with a T-bar grid system. A more efficient MERV 14 filter is also available. 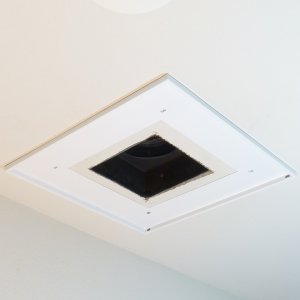 Whilst the CFFD was designed as a 2×2 air diffusers for drop ceilings it can also easily be mounted on hard ceilings thanks to our surface mount backpan. The four-way adjustable louvers direct airflow when you would like to eliminate drafts. Minimizes the hot and cold spots that are found throughout a building, making your employees more comfortable. The Comfort First Filtered Diffuser hangs only 1.75 inches from the ceiling, making it discreet enough to use in an office, restaurant, hotel, or retail setting. How do I choose a Backpan? Selecting a back pan is determined by the type of ceiling your office has and what size the neck is that attaches to the duct work. 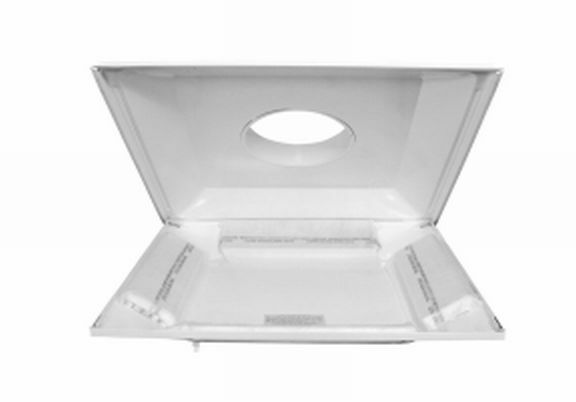 If you have a standard perforated diffuser that has pins holding the screen in place from each corner of the back pan, you may be able to use this back pan for the installation. If you have any other style diffuser you will need to buy one of our 3 back pan options. 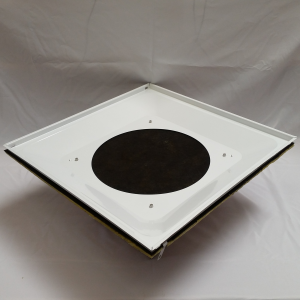 The powder coated steel back pan is used in standard T-bar suspended ceilings. Prior to ordering you need know the round neck size that your duct work will attach to. They are available in 6″, 8″, 10″, 12″, 14″ and 16″ round. The fiberglass back pan is for use in T-bar suspended ceilings for multiple installations when you do not know the neck size. It can save time to buy the fiberglass covered steel back pan and take various sized start collars and duct sealant with you on the job. Most contractors and facility managers can purchase start collars from their local HVAC supply house. This back pan allows you to use start collars at the job site and cut the fiberglass to the neck size desired using tin snips or utility knife. This type of installation normally needs an HVAC contractor or skilled facilities HVAC technician. 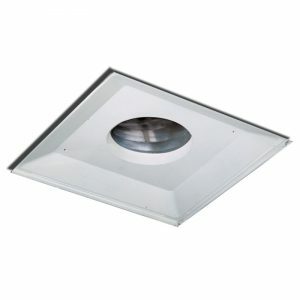 The Surface Mount back pan is for use in hard ceilings; plaster or drywall. It is mounted onto the ceiling and the diffuser fits inside this back pan. The back pans allow the diffuser to hinge down for easy filter replacement. Filters trap ductwork pollution particles .03 microns in size at a 40.6% efficiency level at 150 fpm, improving air quality which helps to reduce allergic reaction and illness. 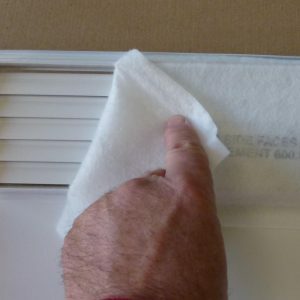 Helps prevent dust buildup on acoustical ceiling tiles, maintaining a cleaner appearance. Hospitals, Labs and areas that require more filtration, where Static Pressure is not an area of concern. Filters trap ductwork pollution particle .03 microns in size at a 66% efficiency level – 1.3 microns – 90% efficency lever, improving air quality which helps to reduce allergic reaction and illness. Helps prevent dust buildup on acoustical ceiling tiles, maintaining a cleaner appearance.